An excellent stay, thoroughly enjoyed - will be back next summer! This cozy studio apartment in Barcelona is located in Gràcia and overlooks a pretty square, typical of this town. This neighborhood is a great choice for your city getaway, offering an array of boutiques, restaurants and trendy nightclubs, plus easy access to the beautiful Park Güell. Able to accommodate two people, this apartment is a wonderful choice for couples or friends heading to Gaudí´s city! The apartment has a comfy sofa and TV in the living area, along with a balcony just off the living room. An Internet connection is also available for your convenience. You will find a double bed located in an area that receives plenty of natural light, and the bathroom has a large bath tub along with a shower. 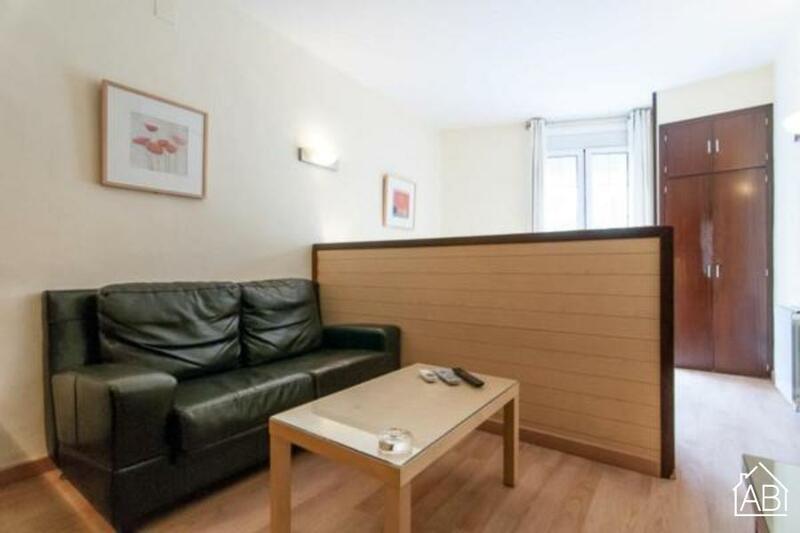 This studio apartment is perfect for those looking for a comfortable stay in a lovely location in Barcelona!